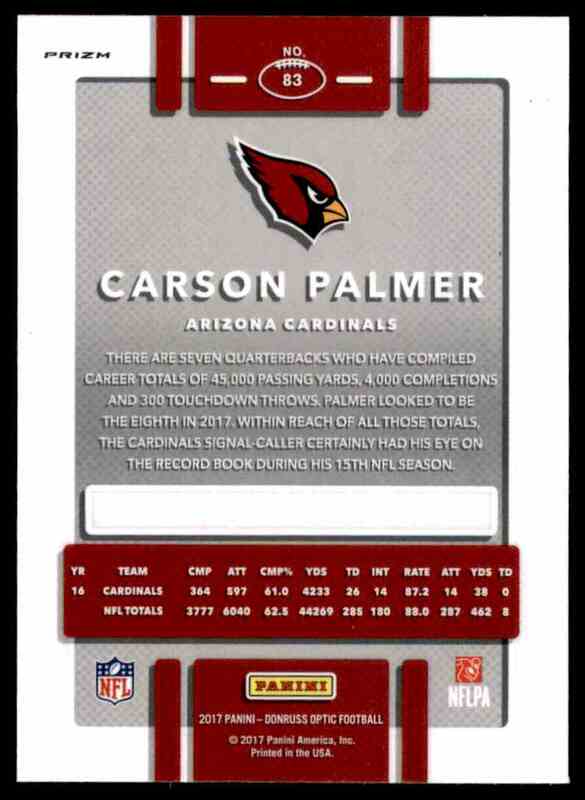 This is a Football trading card of Carson Palmer, Arizona Cardinals. 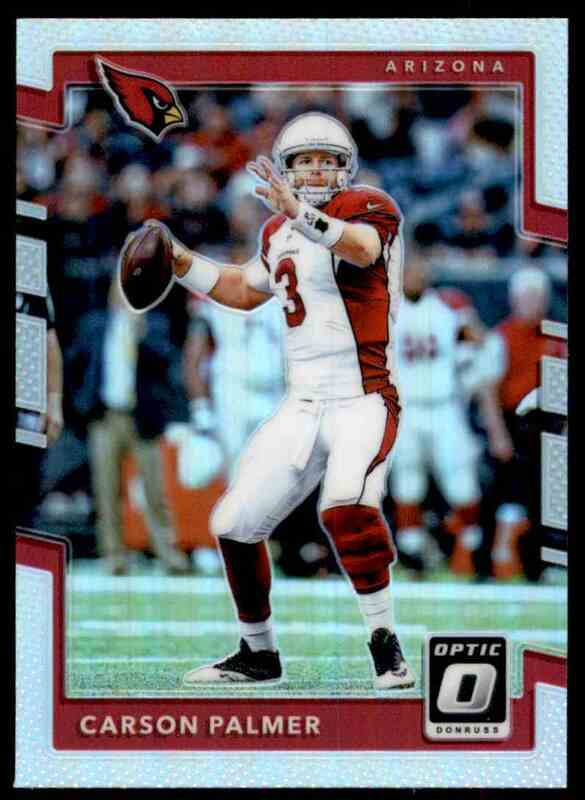 It comes from the 2017 Donruss Optic Holo set, card number 83. 51688. It is for sale at a price of $ .60.